ISSUE 3 - THE TASTY ISSUE - NOW ON KICKSTARTER! Big news, ladies and gentlemen! You can now order your copy of Strumpet issue 3, The Tasty Issue, via Kickstarter! 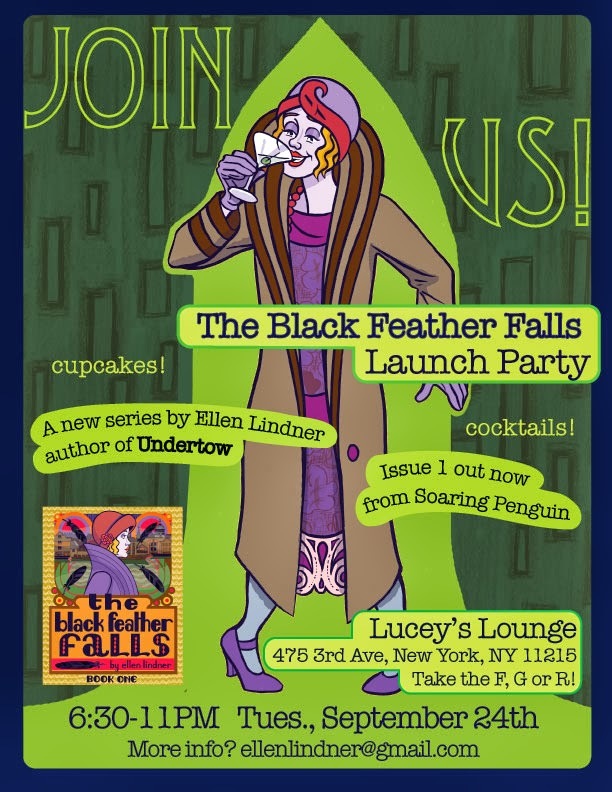 The Black Feather Falls - NYC Book Launch Tomorrow Night! See you tomorrow night for a very special event: The Black Feather Falls: Book One book launch by US editrix Ellen Lindner! Set in London in the late 1920s, The Black Feather Falls follows American emigrée Tina Swift as she tries to find the killer of a homeless World War I veteran. It will be a four part, full-color pamphlet series, to be collected by London's Soaring Penguin Press as a graphic novel. Issue one has 30 pages of comics and some fun extras. See you there, New Yorkers!